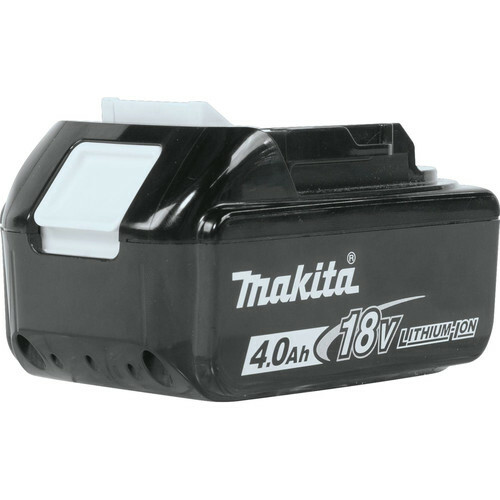 Makita is the innovation leader in brushless motor technology, and the XSH03Z 18V LXT Cordless Lithium-Ion 6-1/2 in. Brushless Circular Saw combines power and run-time for faster cutting and ripping without the cord. The saw features a motor delivering 5,000 RPM for faster cutting and ripping as well as Automatic Speed Change technology which adjusts speed and torque during operation for optimum performance. The XSH03Z Extreme Protection Technology (XPT) engineered for improved dust and water resistance for operation in harsh conditions. Since the motor doesn't contain carbon brushes, you will also be getting a tool that runs cooler and more efficiently extending its service life. Brushless motor delivers 5,000 RPM for faster cutting and ripping. This saw is awesome! it's super smooth, light, and powerful enough to crank through 2X lumber without a problem. Now, I wouldn't go frame all day with this saw if I had power nearby and a wormdrive in the truck. But if you had to, you totally could. The convenience of this thing for pickup framing and exterior or even very select interior trim jobs is amazing. We finally have enough technology for a single battery circular saw to be a very reasonable thing in your kit. Substantial power improvement over original models with brushes. Lots more cuts per battery change. Good brake and nice grip. Great cordless saw! I’m left handed and love the left blade. It cuts better than my corded dewalt 7 1/4” with a diablo blade. I bought this to replace a Milwaukee after all the batteries had lost their ability to take a full charge, and I wish the batteries had failed earlier. This saw is far more powerful, lightweight and nimble. Expensive but worth it. Knowing how refined this saw is I would pay hundreds more to get one if that was the cost. Priced as is it is a complete bargain. This saw is powerful yet it is so well designed, with the braking and light weight, that it would be much more difficult to injure yourself with this saw than any other I have seen. I love this saw and I sometimes find myself creating work just to use it. My current favorite tool. It is just awesome! While I still have my old worm drive saw that I used for decades, I never get it out. This saw is used all the time. No cord and light weight help make my cuts more accurate. I can cut up a wall or overhang on a roof and watching the front guide is spot on. I use this for framing and trim out. It feels great in my hand. I have another brand and this by far is my favorite. Is a blade light included? BEST ANSWER: Yes it does have a brake. The brushless motor technology allows the motor to slow itself down very quickly. It's at my other home but I think it does have a brake just not 100% sure. Yes, the Makita XSH03Z has an electronic brake feature. Yes it does have a brake. and I am sure you will too. Take care. Yes, the 4.0ah battery will fit the saw. Yes, it does (I have used it with both 3.0 and 4.0). Yes, the 4.0 battery will work with this unit. Is this saw compatible with the 5 amp hour battery? Honestly I'm not sure. I wasn't even aware of a 5 amp 18 v LXT battery. I run it with the 3 amp with no problems I get almost twice the use time compared to my previous one with brushes. Very happy with the product. yes i have the same circular saw, i run my saw even with there 6amp battery, longer runtime and longer power no issue what so ever. 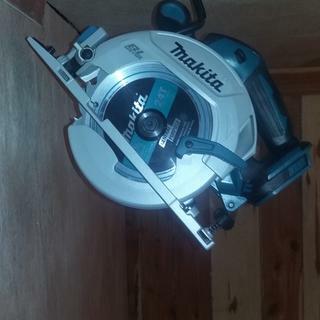 had this saw for 7 month running with my makita 18v bl1860 6amp battery love it!!!!! I'm sure I saw this unit last week was $179. But now become $289. Is it possible for me to get the last week price ($179)? Thanks in advance. 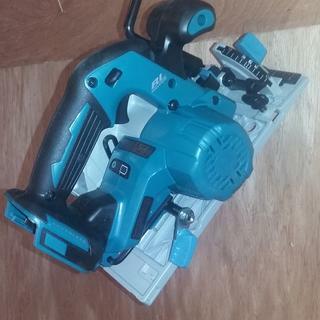 BEST ANSWER: The Makita XSH03Z 18V LXT Cordless Lithium-Ion 6-1/2 in. Brushless Circular Saw (Bare Tool) is $189.99 with a $20.00 off discount until 6/21/2015.